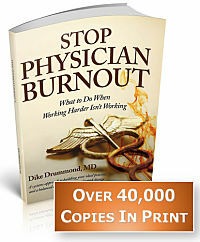 Stop Physician Burnout - what to do when working harder isn't working is the reference text to burnout prevention for the modern physician. Bulk orders are $18 each compared to the retail price of $29.97. You SAVE $12/book on any quantity. Fill Out the Form Below for a Complete Price Quote including taxes and shipping right to your door.